However, long before the advent of Instagram—painters, photographers and travelers have been captivated by the beauty of doors, as well as the the intrigue of what might be behind them. Whether open or closed, doors offer a provocative glimpse into the lives, history and culture of the people who live behind them. 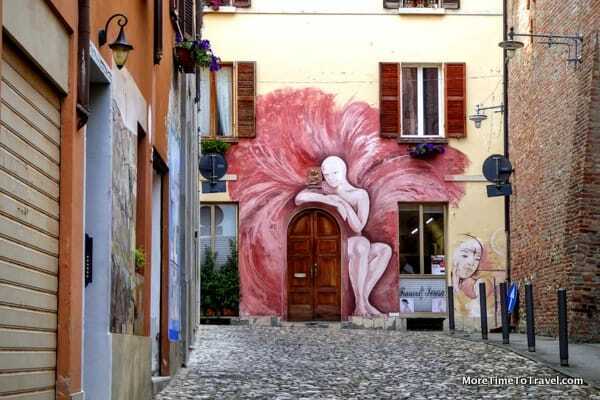 For this collaborative post, 19 of my fellow boomer travel bloggers contributed some of their favorite doortraits taken around the globe. At the end of this post, I’ve added a link to my Pinterest page of Doors. Please let me know if you have a Pinterest Door page I can add to the list. *All photographs are credited to the respective bloggers who provided their doortraits. To me, this blue door is typically Portuguese. I first spotted it four years ago in the medieval town of Barcelos. I was back there a couple of months ago and passed the same door, evoking happy memories. It’s the white swirly railings over the little windows and of the curved gate that make me love it so much, plus the fact that it’s surrounded by azulejos, the colourful ceramic tiles that decorate many older buildings in Portugal. This was also one of the first door photos that I sold as a print, another reason why it’s precious to me. I was touring the Taos Pueblo and saw an open door. The sun streamed into a dirt floor room. When my eyes adjusted to the dark, I found an artist quietly working in the light from a window. On the adobe walls his works were humbly hung waiting to catch the eye of a collector. The coolest door we’ve ever seen is this one, decorated with carving by Sámi Laplander artisans in the duodje (the Sámi word for handicraft) style. The door is in the Visitors Bureau in Kiruna, Sweden, which is a city located 90 miles north of the Arctic Circle. Duodje carvings are rendered from traditional materials: such as roots and burl knots from birch trees, as well as animal horn. They depict various aspects of Sámi life, which is so closely intertwined with nature’s seasonality in this region. I love this shot I captured on quiet Rivington Street on NYC’s Lower East Side. The door has been turned into a canvas for a painting of a nun, and then enhanced with physical items that unwittingly (?) include a huge air conditioner, several flower pots, and more. I so wish I had been able to catch the person who lives there in the shadowy doorway. Aren’t you curious, too? This was the oldest and coolest looking door I saw throughout the Kasbah section of Marrakech. When I saw it, it made me wonder what stories it could tell and what secrets it would reveal. Did it protect its owner from attacks? Was its caretaker throughout the years royal, shop owner, school, brothel, all of the above? Musée Grévin is one of the oldest wax museums in Europe located on the Grands Boulevards in Paris. This entrance is accessed from within Passage Jouffroy which is a beautifully covered walkway with shops and restaurants. The design around the door reflects the architecture and designs of the Belle Époque era of the late 1800s. In the museum there are over 450 characters such a Napoleon III and George Clooney, and various scenes from French history and modern-day events are depicted. One highlight is the Hall of Mirrors, which was brought over from the World’s Fair in 1900. This was taken in Positano, Italy. I love the wood and the blue green stain. The pink flowers add a special touch. There are so many great doortraits in the Amalfi Coast all around the steps and nooks and crannies. The Spanish city of Valencia is much like this over-the-top doorway. It is a blend of the old and the new, the traditional and the avant-garde. It seemed appropriate for us to wander past this highly ornate door, and even more incredible that we were getting used to Valencia’s wow factors. I happened upon this doorway while on a bicycle tour of the Presidio neighborhood of Tucson, Arizona. I was struck by the synergy of texture, color, culture, and place in this scene, positioned against a background of sky and clouds beyond. I can only imagine the stories this doorway could tell. Sometimes pictures do paint a thousand words. I am not sure what I was expecting of Cairo, Egypt on our first trip there last December, but the things I didn’t expect weres the profusion of Christmas decorations about the city. Staying in the affluent Zamalek District, on the northern portion of Gezira Island which sits in the middle of the Nile River, we’d set out on foot each day. On one of our walks we came across this door. As with all doors I photograph, I wanted to open it and meet those who lived behind such a beautiful entry. We loved this trifecta shot: three doorways in one. It was taken at the historic San José de Gracia mission church in Las Trampas, New Mexico on the High Road to Taos. From our vantage point outside the church, Steve was able to frame the gate and two doors: the main entrance to the church and an upstairs door opening to the balcony. Heading to Taos on the High Road is a popular day trip for both locals and visitors. Lots of small towns dating back hundreds of years coupled with artists’ studios and great views make it a winning outing. This photo from Fez, Morocco shows an unusual arched entrance within the wall to one of the King’s palaces. I love the intricate pattern of mosaic tiles in blues and greens that surround this imposing door and the flow of the angled lines and curves. If you look really close, you’ll see a regular size door on the right hand side that will give you a clue of just how massive the door really is. All across Mexico you find beautiful colonial doors set into sandstone archways. This is a typical example from Patzcuaro in Michoacán, photographed at the “Casa de los Once Patios” (the house of 11 patios). From the way the sandstone has been carved and set you can, to a degree, understand the skill level of the craftsman and the wealth of the original house owner. Conrad and I love to wander side streets and neighborhoods away from the tourist centers. In Copenhagen we had the great fortune to be there for six weeks, affording many such wanderings. We walked by this door on the side of a nondescript government office, and I nearly missed its one really unique feature. At the last second, my peripheral vision caught the pontil marks in the center of the panes of glass. The windows had been hand-blown! Three of the panes broke over the years and were replaced, but three originals still remain. When the Iron Curtain was strong and countries hid behind its shield, real and perceived enemies prompted them to build defences. Thousands of bunkers dotted Albania’s landscape during its four decades of isolation and dictatorship under Enver Hoxha. Today, Albania’s doors have been thrown open and many bunkers lie abandoned, like this one, its entrance used for graffiti or as a dark reminder of the past. Verona is filled with amazing architecture and colorful portals. All the doors and windows just draw you in with their unique details, colors and wonderful patina, and every home or building is so spectacular—like the ironwork on this front gate. You can easily spend the day just wandering and enjoying these wonderful scenes as you pass by. Sometimes impressive doors are found inside. These intricately decorated brass doors guard the entrance to the 1739 library of Sultan Mahmud I. This library was built within the massive Hagia Sophia in Istanbul, Turkey. Not only is this a beautiful door, it is in an unexpected place. It serves as the gate into a peace garden. The garden contains plants, artwork and a labyrinth, and is located on Woodwynn Farms, a farm working to help the homeless turn their lives around on Vancouver Island, British Columbia. An amazing collection of doors. This post made me think how great it would be as a coffee table book. . .such an amazing collection. Great post, Irene! What a wonderful collection of doors. So happy I could be part of it. Love this idea. Besides doors, as I drive along A1A in South Florida, I am attracted to the beautiful gates that protect and define oceanside properties – gaitraits? Even has a Florida ring to it — to keep the gaitors away! I love love love doors and photograph them everywhere I go! Wonderful post Irene. Kudos to all of the creative bloggers here. Thanks for including our pic Irene. This was a great idea for a post and I’m amazed at how many variations a simple photo challenge like “Doors” can produce as well as the multitude of countries featured. Thanks to you, I envision a lot more future fun as we scout out more doortraits! Love the montage of the doors. Very creative and inspiring. Also, it was nice to see you, Irene, in some of the doors. Such beautiful doors. Thanks for including me I your post. These made me think about re-doing my own door! I see my door from the Hagia Sophia is in excellent door company. Thanks for including my submission. It was a great addition! #doortraits certainly come in all shapes and forms. I love this post. Thanks for the inclusion and the link to my Pinterest board – I wish I had more time for it, there are dozens of door photos sitting on my harddisk waiting for an upload. Another popular Pinterest Group Board, I’m a member of, is https://www.pinterest.com/jokarnaghan1/doorporn/. Join it and whenever you have blog post with an exceptional door in it, this might be an opportunity to promote it. Gorgeous doors from around the world. So glad that you included my favorite door. Fun stuff. What a wonderful collection of doors. Each one of them has a story. I too love doors. Would have loved to participate. I’ll take you up on that, Nisha! I missed the deadline for contributing to this, which is a shame because have a photo of a wonderful garage door in Sydney which is painted to look like a circus curtain with a zebra peeping out before show time. I love the photos you do have though. I am a major fan of door photos — and these are especially wonderful. Thanks for the eye candy, and Happy Thanksgiving! You have a wonderful artist’s eye so I’m very happy you enjoyed these.